It must have been difficult living in the shadows of two older brothers: Harry, hailed as “The Father of Professional Baseball,” and George, a baseball legend, top cricket player, successful sporting goods businessman, and a pioneer who helped bring golf and tennis to the United States. It is not surprising that what we know of Sam Wright comes courtesy of his famous brothers. Never carving out his own niche in baseball, he was often referred to as “Sam, the brother of…” As an athlete, he was nowhere on a par with his brothers. Sportswriters, naturally, expected more of him. “Sam Wright, Jr., a brother of Harry Wright, fills the position of short stop of the Elm City Club very acceptably, and will doubtless become as famous as his two brothers.”1 That prediction by the New York Clipper, like many predictions concerning brothers of famous athletes, never came true. With huge shoes to fill and high expectations placed on him, Sam never saw such success. With only 45 career games in professional baseball, he is the forgotten brother of a famous family. The brothers played for amateur baseball teams throughout the 1860s, Sam playing for the Gramercy Club in New York City.4 A box score from the Boston Journal, reporting a game in 1868 between Gramercy and the Boston amateur Tri-Mountain club, lists Wright playing third base.5 George and Harry were both in Cincinnati by 1869-1870, guiding the first openly professional baseball team to 89 straight victories. The 1870 census showed young Sam living in Woodside Township, New Jersey, at the home of his brother, Daniel, and working in “book binding.” He played two seasons, often as catcher, for the Amateurs club in Newark, New Jersey, 1870-1871.6 When the Cincinnati team disbanded after the 1870 season, George and Harry went to Boston and began professional baseball there. At some point in the early 1870s, Samuel Sr., Ann, and Sam Jr. migrated to Boston to join George and Harry. Sam played for the amateur Boston Juniors club 1873-1874. On July 3, New Haven beat Boston, 10-5, and Wright had two hits and scored twice.18 A July 22 game against Chicago saw Wright commit three errors in a 4-3 loss.19 His 40 total errors at shortstop were not that uncommon in the bare-handed fielding era (his brother George committed 56 for Boston, although he played in 79 games). A statistic never even fathomed in 1875, but a modern baseball statistician’s tool, is Range Factor, which adds together a player’s putouts and assists and divides the number by games played. Wright led the league in this modern category for shortstops, with a 5.06 average. So the Clipper’s “fine fielding” comment of over a century ago stands up to modern baseball fielding analysis. But Wright batted only .189 with four doubles for the 7-40 New Haven team. He was a poor hitter on a bad team. Wright continued playing in Lowell in 1878. 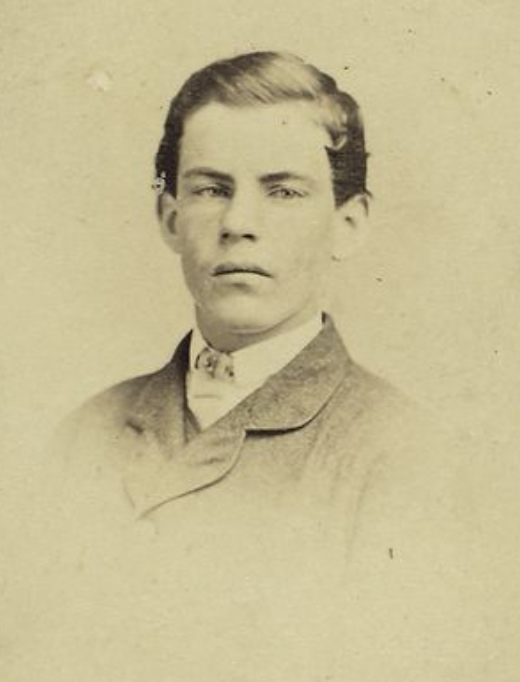 He went 3-for-5 on August 12 in an 11-10 win over New Bedford.31 Wright became stronger in the field and at bat, and rumors circulated that his brother George was to leave Boston for New York in 1879 and Sam was to take his place at shortstop.32 While final statistics weren’t found, those published in mid-June showed Wright batting an improved .265 (31-for-117).33 But Sam never replaced George in Boston. A decade after his brothers put Cincinnati on the baseball map, Sam Wright got a job with the Cincinnati Reds for the 1880 season. The New York Clipper described Wright as “the active and efficient short-stop of the Cincinnati Club.”37 Wright did make the first hit of the season for the Reds, a single in an Opening Day loss to Washington, but “was caught at second.”38 He struggled thereafter. “It is hardly probable that Sam Wright will remain with the Cincinnatis after June,” reported the Clipper.39 He was released before the season ended, batting .088 in nine games. Wright played for a Boston Picked Nine club against Providence on April 19, 1881.40 On September 23, he played in his final major league game, again for Boston, and his only one of the season. He played shortstop for Ross Barnes, who had been suspended for “poor play.”41 He went 1-for-4. Sam Wright suffered from arteriosclerosis and died of a cerebral hemorrhage on May 6, 1928, at the age of 79. He had been living at the residence of his brother, George, in the Dorchester section of Boston. He was buried at St. Patrick Cemetery in Stoneham, Massachusetts. Sam Wright file from the Baseball Hall of Fame. Samuel Wright (1848-1928) http://wikitree.com/wiki/Wright-21309 Retrieved September 20, 2016. Thorn, John. “Who was George Wright?” http://ourgame.mlblogs.com/2016/09/20/who-was-george-wright/. Retrieved September 23, 2016. 1 “Baseball. Boston vs. New Haven,” New York Clipper, May 1, 1875: 37. 2 “Sam. Wright, Short-stop,” New York Clipper, May 15, 1880: 61. 3 Christopher Devine. Harry Wright, the Father of Professional Baseball. (Jefferson, North Carolina: McFarland, 2003), 128 [Ebook edition]. 5 “Trimountain vs. Gramercy,” Boston Journal, July 6, 1868: 6. 6 The Evening Journal (Jersey City, New Jersey), June 3, 1870: 1; July 29, 1870: 1; June 28, 1871: 1; August 30, 1871: 1. 7 “A Ten Innings Game,” New York Clipper, January 3, 1874: 315. 8 “Base Ball on Christmas,” Boston Herald, December 22, 1895: 26. 9 “Base Ball,” Boston Daily Advertiser, April 3, 1874: 1. 10 “Out-Door Sports,” Boston Post, April 3, 1874: 3. 11 “Sam Wright, Short-Stop,” New York Clipper, May 15, 1880: 61. 14 Mark Pestana, “April 19, 1875: Boston Red Stockings 6, New Haven Elm Citys 0, at Union Grounds, Boston,” in Boston’s First Nine: The 1871-75 Boston Red Stockings. Eds. Bob LeMoine and Bill Nowlin. (Phoenix: SABR, 2016), 293. 16 “Hartford vs. New Haven,” New York Clipper, May 15, 1875: 50. 17 “Athletic vs. New Haven,” New York Clipper, May 29, 1875: 67. 18 “Base Ball- The Bostons Badly Beaten,” Boston Globe, July 3, 1875: 4. 20 “The Championship Contests,” New York Clipper, April 22, 1876: 26. 21 “Base Ball. Another Victory for the Now Haven Club over the Reds,” Cincinnati Daily Gazette, July 11, 1876: 8. 22 The story was quoted in the Lowell Daily Citizen and News “City and Vicinity” column on October 19, 1876, page two. 23 “City and Vicinity,” Lowell Daily Citizen and News (Lowell, Massachusetts), February 24, 1877: 2. 25 “The Lowells Out for Duty- Base Ball in a Snow Storm- Incidents of the Play,” Lowell Daily Citizen and News, April 13, 1877: 2. 26 “Base Ball-The Lowells Defeat the Alleghenys, 9 to 2,” Lowell Daily Citizen and News, June 18, 1877: 2. 27 “Base Ball- Lowells 11, Auburns 2,” Lowell Daily Citizen and News, July 27, 1877: 2. 28 “The Lowell Base Ball Club- Its Record, and the Individual Record of its Members,” Lowell Daily Citizen and News, October 10, 1877: 2. 29 “Base Ball- Lowells the Champions of New England Non-League Clubs,” Lowell Daily Citizen and News, October 15, 1877: 3. 30 “It Helped to Make Baseball History. Famous Lowell Team of the Year ’77,” Boston Herald, July 21, 1902: 4. 31 “Base Ball- Lowells 11, New Bedford 10,” Lowell Daily Citizen and News, August 13, 1878: 2. 32 “Base Ball Matters,” Lowell Daily Citizen and News, August 21, 1878: 2. 33 “Base Ball Matters- Individual Records of Members of the Lowells-Other Matters,” Lowell Daily Citizen and News, June 13, 1878: 2. 34 “Base Ball Brevities,” New York Clipper, December 7, 1878: 290. 35 “New Bedford Vs. Manchester,” New York Clipper, May 10, 1879: 53. 36 New York Clipper, October 25, 1879: 244. 37 “Sam Wright, Short-Stop,” New York Clipper, May 15, 1880: 61. 38 “Cincinnati vs. National,” New York Clipper, April 24, 1880: 37. 39 “Baseball Notes,” New York Clipper, June 5, 1880: 82. 40 New York Clipper, April 30, 1881: 90. 41 “Boston vs. Buffalo,” New York Clipper, October 1, 1881: 447. 42 “The Ball Players,” Boston Herald, April 5, 1885: 6. 43 “Base Ball Notes,” Boston Herald, September 3, 1885: 5; Still in existence today, the Longwood Cricket Club is now located in Chestnut Hill, Massachusetts. It was one of the first tennis clubs in the United States. The club played a prominent role in tennis history from 1917-1999, hosting many tournaments, such as the Davis Cup, and was visited by such tennis greats as Arthur Ashe, John McEnroe, and Pete Sampras. http://longwoodcricket.com/About_Us/History.aspx Retrieved September 24, 2016. 45 “Australians Win the Game,” Boston Herald, June 22, 1897: 7.